Through my extensive and enduring love-affair with natural beauty ingredients and products, I have collected a treasure trove of tips & tricks that I am eager to share with you. While helping to save time and money. (remember plant based oils are good for your skin - mineral and petroleum based oils can cause your pores to clog and your skin to react). Quick and easy way to avoid that "brrrrrrrr-chilly" feeling when moisturizing after a warm bath or shower. Use a bath and massage oil as your final step in the bathing process, to lock moisture into your skin. This way you don't need to stand naked and freezing, to apply your moisturizing body cream or lotion. Just before you are ready to turn off the tap, pour a small amount of oil into your palm, rub hands together and smooth a light layer of oil all over your body... take a second to massage in and voila! Quick rinse, pat dry with soft towel and you will be ready to go. (If tub becomes slippery, wash area with a small amount of shampoo before turning off water). Use a cleansing oil. Massage cleansing oil over your face (dry) it will help to dissolve dirt and product. Allow it to do it's work... 30-60 seconds... then rinse off with a warm, wet wash cloth. Your skin naturally produces oil because it needs it. Not only does your natural oil help to lubricate, it also helps to heal, moisturize and protect your skin so that it may function properly. When you strip your skin of its sebum, which can occur when using harsh cleansers or using the wash and repeat method, it goes into overdrive, trying to create more oil. Which can lead to oily skin, clogged pores, whiteheads, blackheads, inflammation and irritation. Do not be worried about applying oil to your face. A plant based oil, alone, will not cause you blemishes, pimples, cysts, zits, blackheads or whiteheads...these are a result of several different influences including; hormones, bacteria, dead skin cells and the buildup of these factors. 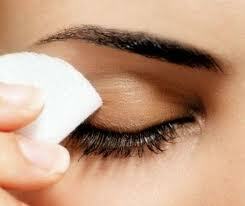 Dampen a cotton pad, for each eye, with warm water, squeezing out excess. Apply small amount of oil based cleanser to pad, work into pad (as the oil will want to sit on top of the damp surface) with clean finger tip. Apply one pad to each eye lid and gently press onto eye area... allow to sit for 30 seconds (the oil will dissolve eye makeup, even water proof and long wearing mascaras) gently wipe cotton pad in a circular motion around eye, cleansing eye lid and lashes. Flip pad over to utilize clean side and wipe away any smudges. Lashes are hair and they need some TLC to keep them lush, supple and soft. One of the best ways to condition your lashes is to applying a natural oil to them... this cleansing method will leave your lashes well conditioned and help them to grow full and healthy while preventing breakage. Avoid ingrown hairs along bikini line. Ingrown Hairs, occur when the end of the hair shaft is shaved or broken off, resulting in a sharp edge that curls back into the same hair follicle it grows out of, eliciting an inflammatory response (redness, itchiness, and/or raised infected area). 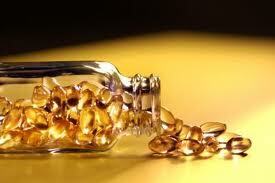 Apply contents of a Vitamin E capsule (puncture with a pin, or snip off end), to the area following shaving or waxing. Massage into the area and this will help to prevent ingrown hairs and resolve irritation. Protect your manicure and pedicure. by applying a drop of oil to freshly polished nails. The oil will act as a buffer to the fresh polish, helping to avoid any dents or scratches to the polish, and can be wiped off when polish is 100% dry. There is no nail polish that is TOTALLY natural but if you are going to wear polish, the best thing to look for in nail polish is one that is "Three-Free," meaning free of toluene, dibutyl phthalate (DBP) and formaldehyde — all known carcinogenic ingredients. 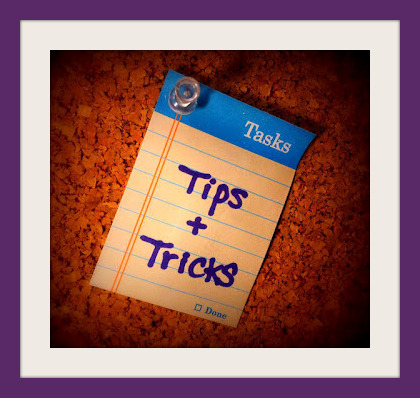 Hoping that you find these tips & tricks useful.